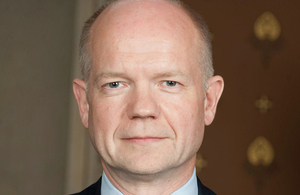 Below is the text of the speech made by William Hague in London on 21 February 2006. For some Conservatives, living in the past is an attractive temptation. But I’m sure you’ll understand why going back in time holds fewer attractions for me. I want instead to look forward – to ask what will be required of our leaders in the future. I want to ask, in particular, and very topically in the light of last week, whether Gordon Brown’s beliefs make him capable of dealing with the challenges that face Britain today. Any study of the past shows that most successful Conservative leaders have been at their most successful when leading the process of change the country needed. William Pitt transformed our taxation system from a medieval model to a modern one, led Britain from the sidelines of Europe to a central position on the global stage and laid the foundations for future industrial greatness. Robert Peel accelerated that transformation by taking on the country’s protectionist interests and advancing the cause of free trade. Benjamin Disraeli ensured the benefits of economic change were more widely spread and broadly accepted, and in the process secured our future, by introducing legislation to protect workers, provide them with homes and guarantee clean air. And Margaret Thatcher, of course, provided the inspirational leadership which allowed our country to renew itself after years of drift and decline by equipping us with the freedoms and national self-confidence to shape the future. The essence of Conservatism has always been a belief in human nature as distinct from abstract ideology. And the essence of human nature is adaptability, flexibility, ingenuity. Conservative policies throughout the ages have always been designed to give these virtues room to grow. The Left, by contrast, have always been trying to constrict human freedom, to direct human energies down specific approved paths. For me, there are profound ethical and philosophical reasons to take issue with the Left’s general approach. But, crucially, there is a more important reason why we should all reject the instincts of the Left to control and direct. They just don’t work. One of the key problems with the Left is that they develop an analysis of whatever a good society needs to be – whether its keener on science, or more generous to doctors or more thoughtful on climate change – and then they seek to implement that change through crude mechanisms, which involve a growth in state power, a diminution in individual freedom, a squeezing-out of innovation, difference, diversity and creativity and end in the dogmatic pursuit of targets which events have long rendered redundant. By its very nature this approach is stuck in the past – it is inappropriate for the fast-moving world in which we live. And it holds us back from making the changes we need to make to respond to the real challenges of the 21st century. If this Left-wing approach of controlling, directing and interfering were simply an alternative set of ideas advanced by socialist nostalgics it would be our duty as politicians concerned about the country’s future prosperity and security to challenge them. But the task of taking on this philosophy has become imperative – because it drives the man everyone expects to be the next Prime Minister. Gordon Brown appears to worry whether he and the country are on the same wavelength. He knows that the country preferred Tony Blair to him as leader of the Labour Party, and saw him as not quite right for the job in 1994. There are worries that the sort of person who could edit the Red Paper on Scotland, and who once called for the massive extension of state power to advance a socialist utopia, may not be the best person to lead a competitive market economy. To meet these worries and concerns the Chancellor, in recent weeks, has been dropping names and swapping costumes. They call it Project Gordon. He’s let us know that he’s now a friend of Alan Greenspan and Bill Gates – to try and prove that he’s got over his resentment of capitalism. More touchingly he’s been wearing Ralph Lauren-style shirts and Tom Cruise-style flying helmets. Let me give him a word of advice based on personal experience: headgear and party leadership don’t go well together. But this superficial makeover does not, and cannot, alter the Chancellor’s essential make-up. The qualities of left-wing thinking I discussed earlier – the tendency to channel, control, organise, direct and boss in conformity with dogma and in a way which inhibits growth and change – are central to Gordon Brown’s way of operating. On the economy Gordon Brown isn’t happy concentrating on getting the fundamentals right. He uses the entire tax and benefits system to remake British society and alter British behaviour in conformity with his grand plan for us all. Business is told how to invest through the creation of specific incentives. The way in which tax credits are designed is absurdly bureaucratic. Little gimmicks in every budget demonstrate that Gordon Brown wants to use public money to pay for whatever may be on his private agenda. This whole approach – the belief that the economy is there for politicians to tell us how to live, rather than generating the wealth which gives us greater freedom to decide how we want to live – is stuck in the past. As I’m afraid, is the Chancellor’s approach to public service reform. Gordon Brown has spent much of the last month telling us he’s in favour of reform. In the abstract. But show him any real reform and suddenly his supports seems to evaporate into fudges, hedges and muttered generalities. The Chancellor is still to spell out which aspects of the Blair reform package are right, and why. His fabled intellectual firepower has been curiously muted. Can the Chancellor tell us just what role LEAs should have in the future provision of schooling, and why. What is the philosophical view he takes of who should commission, and who provide education? And what are the practical consequences in terms of policy? Does he share Tony Blair’s admiration for school choice on the American model, which the Prime Minister spelled out in the foreword to the Education White Paper? If not, why not? On all these questions – silence. On the central debate about how we equip the next generation for the rigours of competition in the 21st century we have equivocation, prevarication and endless, endless repetition. Oh, how we’d love to have some detail. For just a minute. But the Chancellor prefers to duck these future challenges. Should independent providers supply more than 15% of NHS care? Silence. Should poorly performing police officers continue to be able to enjoy generous protection for their failings? Silence. Should the new trust schools be encouraged to form links with business to help get new funding from the private sector into education? Silence. The Chancellor is apparently giving more speeches in the weeks to come – I’m looking forward to the answers to questions like these. And if Gordon doesn’t address them then we’re entitled to assume that what he – the roadblock to reform – means by reform and what the country means by reform are very different things. The Chancellor prides himself on the long-term benefits of his decision to give independence to the Bank of England; but there could hardly be any set of developments less calculated to sustain the long-term competitiveness of the British economy than the cocktail of higher business taxes, increasing business regulation and decreasing pension provision to which the Chancellor’s policies have subjected us. Until we have decisive evidence to the contrary we’ll have to conclude that the only progressive change the Chancellor is really interested in is changing his address. Instead of accepting that the country needs new thinking, he’s still stuck in the old Westminster mindset which holds that the replacement of one oligarchy with another is all the change the country needs. Now there have been areas, outside the economy, where the Chancellor has favoured us with more of his thinking than others. Britishness is one. On one level, Mr Brown’s recent talk of Britishness is an attempt to highlight one of the most serious challenges we face – the challenge of creating a cohesive society in an increasingly diverse nation. Of course, there is a part of me which wonders if the Chancellor’s desire to emphasise Britishness is his way of dealing with the West Lothian question. Now that we have devolution, and the Scottish Parliament has become an established feature of Scottish life, the question still remains. How can the member for Kirkcaldy vote on what is right for the citizens of Kirklees when the citizens of Kirklees no longer have any say over what happens in Kirkcaldy on devolved issues. As the Leader of the Opposition during the debates we had on devolution I feel no pleasure in pointing out that Scottish Labour MPs forcing through changes to England’s laws does not make for a more harmonious and United Kingdom. Anyone who thinks that we can carry on legislating for England in exactly the same way as we did before devolution is clearly living in the past. When even senior Labour backbenchers have begun to recognise this, so should Gordon. Anyone who imagines that murmuring about Britishness is a substitute for serious and sustained thinking about the West Lothian question is definitely living in the past and is definitely in need of help. In due course, we expect that Ken Clarke’s Democracy Task Force will give the Chancellor some. The Chancellor’s efforts to grapple with the question of national identity were not, however, just restricted to attempts to legitimise his own anomalous constitutional position as an MP. They also related to one of the central challenges of the 21st century. Our society is changing fast. As we become more diverse ethnically and culturally there is less consensus around shared values. Consequently there is potentially less acceptance of the need for shared sacrifice. And that increasing diversity therefore raises profound questions about how we fund public services, protect our citizens against internal and external threat and project our identity on the global stage. I believe these profound questions require deep thought. Which is why I am delighted that David Cameron has set up his policy group on national and international security to look at these inter-related challenges. And its also why I am so pleased that David has shown the lead in putting forward innovative new means of promoting national cohesion through his programme for school leavers, an idea the Chancellor has been trying belatedly to appropriate for himself. When he hasn’t been trying to borrow our ideas on national cohesion the Chancellor has been trying to import them from elsewhere. In his most recent speeches on Britishness he has talked enviously of American front gardens with a flag on every lawn, suggested we emulate the American tradition of veterans’ day and flirted with the American practice of teaching children their nation’s history as a continuous narrative. As we have previously said, there is something to be said for some of these suggestions. But there is more to the American experience than totems and symbols. The Chancellor, rightly, recognises that America has been hugely successful over many generations in forging, and reforging, national unity out of immense ethnic and cultural diversity. E pluribus unum – from many one, as their coinage proclaims. But America’s success – the reverence accorded to the flag by those of every faith, the respect for the sacrifice of veterans felt by those of every background, and the ready acceptance of a shared national story felt by Americans old and new – has depended on a central willingness to defend the vigour, independence and continuity of the nation’s common institutions. America’s common institutions – its constitution, its Presidency, Congress and Supreme Court, its federal system, its symbols of national loyalty from the forces to the flag – have been carefully nurtured by politicians of both major parties. They recognise that diversity is best protected by assiduously supporting the framework which underpins those common institutions. And America’s politicians also know what we knew in Victorian times – a stable constitutional bedrock gives a country’s citizens the security they need to innovate, experiment and lead in a globally competitive world. Gordon Brown’s problem in providing the country with the stability, security and cohesion it needs is that he has been at the heart of a Government which has consistently behaved in a cavalier fashion towards constitutional safeguards. And he shows little sign of being willing to escape the assumptions which have shaped Labour’s approach in the past. Labour’s constitutional agenda on coming to office was heavily influenced by the anti-British radicalism of thinkers such as Tom Nairn, whose thought permeated the work of groups such as Charter 88 and then found expression in the approach of Tony Blair and Gordon Brown in Government. Labour introduced a welcome measure of devolution for Scotland – but without thinking through its ramifications for England and for British unity. 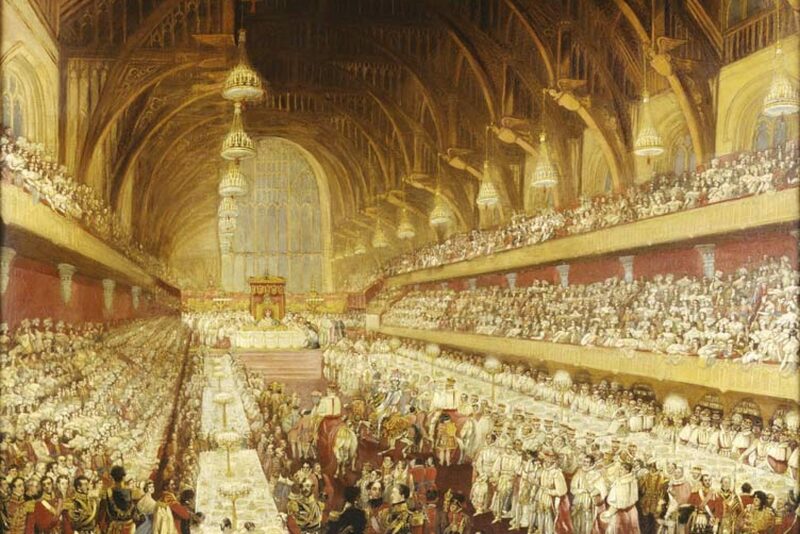 Labour launched a potentially promising reform programme for the House of Lords – but then left us with a House which is even more susceptible to patronage, no more independent of the executive, and no more capable of pursuing its historic and essential balancing functions. Labour continues, in defiance of popular opinion, to push powers to the regional level, a programme almost precisely calculated to alienate local feeling while undermining a collective sense of Britishness. Labour are determined to press ahead with a programme of local government reform which would see our county structure replaced with new abstract authorities. Today, David Miliband, a member of the Cabinet, is giving a speech calling for people to be given more power over their lives and more power as communities. Yet no Government has left the citizen with a greater sense of powerlessness, nor attacked so unsparingly the established mechanisms of local democracy. We have one member of the Cabinet moving power to a local level, while the rest of the Cabinet are busy amalgamating police authorities, ambulance trusts, crime and disorder partnerships and fire control centres – removing local control and accountability across the board, and diminishing faith in local democracy. In addition, Labour are intent on pressing ahead with European integration without ever having provided the House of Commons with an adequate mechanism for scrutinising legislation. Labour have allowed the executive to grow in power, secretive, unscrutinised and unaccountable, as more agencies, quangos and taskforces operate without adequate democratic control, claiming for themselves the authority bestowed by serving the ruling ideological agenda. Gordon Brown has been at the centre of this web. He has turned the Budget speech into a partisan occasion that bears little relation to the Budget itself. He has accumulated power in the Treasury, and reduced Parliamentary scrutiny by timetabling Finance Bills for the first time; he has manipulated statistics, sometimes to the point of meaninglessness; his statements to Parliament are rarer than those of anyone else in the Cabinet; and he has taken not answering the question to an art form which only the Prime Minister can aspire to. This mistreatment of Parliament means that Brown is in a weak position to propose constitutional reform or loyalty to national institutions. On devolution, House of Lords reform, regionalisation, local government reform, European integration and executive power, Gordon Brown’s approach still betrays the thinking of those radicals who were influencing young minds when he was at university. The Chancellor has been shaped by that past. The Government has been shaped by their agenda. And the Chancellor is a defender of that agenda, incapable of disowning it, even as he must see how it undermines our national stability and sense of security. The tragedy of Mr Brown’s attempt to grapple with the question of national identity is that he has wholly failed to recognize the role of common institutions in pulling a diverse society together. He is too much a prisoner of the Government’s past, unable to admit the damage that has been done by the Government to our institutions, and hence unable to offer any coherent vision for re-invigorating those institutions. Vague talk of Britishness, and a sudden love of flagpoles, is no substitute for renewing faith in Britain’s institutions. All require us to have a Prime Minister certain of his own identity, free of ideological baggage from the past, uncompromised by failure in Government, sufficiently at ease with Britain that he doesn’t need constantly to redefine what Britishness means, sufficiently ambitious for Britain that he doesn’t shirk from embracing radical reform and clear-sighted about how our common institutions need to be renewed. There is someone who has recently made clear his intention to replace the Prime Minister at an early date and who I think will prove to have these attributes and that vision. On the evidence of the policies and the rhetoric with which he has favoured us in recent days, I am afraid that man is not Gordon Brown.